Shequan A. Zavala - Preconception/Birth/Postpartum Doula, Indigenous Community Herbalist, Womb Masseuse, ChildBirth Educator, Priestess in Afro-Cuban Lukumi Tradition ,Spiritualist, Student of TCM Acupuncture & Herbs. I am passionate about bringing healing, growth, empowerment, evolution, and ancestral connection to our communities of color. ​Director of Client Services: Kai Shatteen - is a doula who supports birthing people to find their voice and speak up for what they need and deserve. To be of love, of kindness, of joy, of patience, of hope, of determination, and of peace. To be open, honest, and true to myself and my community. Outreach Director: Rebecca Orozco - is a Spanish-speaking Chicana Doula, a Reproductive Justice and Family Advocate, and an aspiring activist. Before coming into Birth Work in 2015, she spent 8 years supporting families of diverse structures as an Early Childhood Educator. She has a background in Medical Anthropology, and sees Birth Work as Social Justice in action. As a Doula, she wants you to have all the information you seek and to feel empowered by your choices at every step - your body, your baby, your birth. She is ecstatic to be in community with so many inspiring, conscientious doulas. ​Director of Jail Support Services: Briana Wilborn - I'm a happily imperfect, semi-toothless, black-lipstick wearing doula! I'm here to remind folks that support isn't always constant positivity, but someone to hold your hand when things are hard.Most importantly, I believe that knowledge and confidence in our bodies' amazing capabilities is central to empowerment. 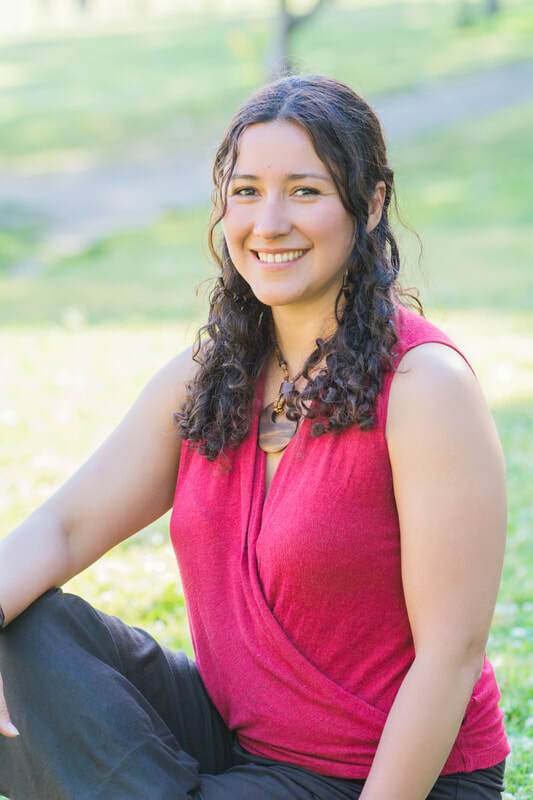 Doula Education Director: Elena Aurora - Co-Founder of RLBC, Elena is a skilled doula, activist, and facilitator. She is an original member of the East Bay Community Birth Support Project Doula Training and has gone on to apprenticeship for homebirth midwifery. She is active in the Queer and Trans* communities and is a proud Peruvian American. Some of her other interests and projects revolve around decreasing the pollution impact on the planet, coordinating doula and placenta encapsulation trainings, and living a plant based/vegan lifestyle. Program Coordinator: Helen Arega - Co-Founder of RLBC, Helen is a traditional birth attendant, activist, and educator. She is a member of Black Women Birthing Justice and currently serves as the Roots of Labor Doula Coordinator. Helen was born in Ethiopia and immigrated to the US when she was 4 yrs. old. While she has spent most of her life in US she is very passionate about birth justice issues on a global scale, specifically in Afrika. She describes herself as calm, passionate, reliable, and organized. Sending love and light! RLBC Photographer: Linda Jones - is a Birth and Postpartum Doula and mother of two, grandmother of three and great-grandmother of one, who lives in Oakland, CA. She founded and owned Waddle and Swaddle Baby Boutique and Resource Center in Berkeley, CA and has been a part of the natural birth advocacy community in the Bay Area for over two decades. She is one of the co-founders of Black Women Birthing Justice She was one of the founders of a volunteer Doula group that provided services for low income, uninsured and teen moms that birthed at Alta Bates Hospital in Berkeley. 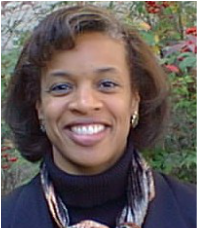 Fiscal Sponsor: Darcelle Lahr - is the Founder and Executive Director of the L.C. and Lillie Cox Haven of Hope, supporting socially-minded entrepreneurs and small business owners in delivering valuable services to vulnerable communities. And as President and CEO of Global Trade Alliance Corporation (“G-TAC”), a minority- owned management consulting practice, Darcelle delivers management and growth support to emerging businesses and nonprofit organizations throughout the San Francisco Bay Area. 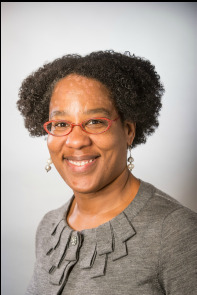 Darcelle also serves as Professor of Business Practice at the Lorry I. Lokey School of Business and Public Policy at Mills College, teaching Strategic Management, Leadership & Ethics, Social Impact Consulting, and Social Entrepreneurship. My long-term interests are to design interventions to improve preventive women’s health and overall well-being. I am a nurse trained in public health, with a research focused doctorate and I maintain a clinical practice, which allows my clinical responsibilities and research interests to be closely aligned. My program of research is centered in discovering the structural factors associated with reproductive health outcomes for women of color. 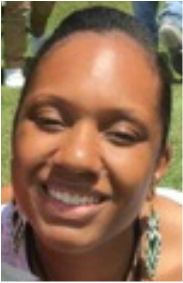 ​Public Relations Coordinator: Paula Williamson - I am a Doula, Mom and Student. Currently taking classes to pursue certification as a Lactation Consultant. I became interested in birthwork after the birth of my son and am an original member of the East Bay Community Birth Support Project Doula Training. I am very excited to be working with RLBC. ​Sarah McCoy-Harms - Sarah is a doula who is passionate about building from the resilience and expertise of survivors of domestic and sexual violence. She is a founding member of Birth Justice Project, part of an incredible team that brought together the East Bay Community Birth Support Project and an enthusiastic supporter of Roots of Labor Birth Collective. ​Maddy Oden- Has been a Natural Birth Institute certified doula since 2006. She has attended over 100 births at SFG, East Bay hospitals, home births, water births, and birth center births. She birthed her baby unexpectedly, and believes all birth is sacred. Her core value around birth is that all birthing people deserve support before, during and after the child’s birth. Dia Flood - Dia is a Black queer doula who is passionate about transforming the landscape of reproductive healthcare to be a source of healing and power for our communities. Dia is a compassionate, tender, committed, and adaptable doula who believes you are the expert of your own body and trusts you and your body to give birth. They are here to support you in every step of your birth journey in whatever ways feel safe and empowering. Annie (Adrianna) Alexandrian - is a full-spectrum doula, womanist, writer, and public health professional. As a multi-racial woman of color, she is passionate about reproductive justice and pathways for healing and liberation. She is deeply honored to be a part of this collective and is invested in supporting spaces within which women, queer, trans*, and femme communities of color can feel affirmed and empowered. Living each day in remembrance of her roots. Working in search of justice and love. 2016 Intern: Christina Thich - Born and raised in San Francisco, I'm passionate about improving health outcomes in under-resourced communities. As a Master's in Public Health candidate at USF, I hope to integrate my nursing background to provide holistic care that supports an individual's physical, emotional, and spiritual needs.